Posted On December 29, 2014 by Team iCynosure. 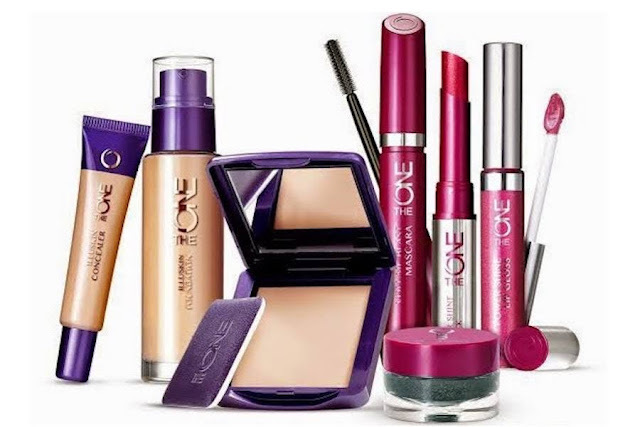 Today I’m going to show you the basic steps to achieve a smooth, gorgeous look using Oriflame’s #TheOne range of products. With the festive season around, you sure want to look your best and here are just a few pointers that may help you achieve the look you want. The very first step would be to moisturise the skin and follow it up with a concealer to hide the uneven skin tone. Apply concealer in little stripes with a pointed brush in the trouble areas like under your eyes, around your nose and any visible spots on your face. Blend it into the skin delicately either with the brush or your fingertips. Apply foundation in long drawn think lines across your face, down the cheekbones, alongside your nose and above the brows with a foundation stick brush. Blend in the foundation onto your face in small smooth circular movements to achieve an even look. Don’t forget your neck area; you don’t want your face to look propped up. Once done, dab compressed or translucent powder especially if you have oily skin to ensure that the base make-up stays longer. Head straight for the Cream Blushes, you can even use the eye-shadow blushes from the range and apply to the apple of your cheeks. Blend it slowly toward your temples, smile and get that perfect shape. Move on to your gorgeous eyes; apply a nice creamy shadow from the lash line to the brow bones and follow it up with the eye-line. Go dramatic with a bronze shade on the lower half of your eyelid or go eye-liner winged. Make those lips lust-worthy with the amazing range of colours from Oriflame’s #TheOne. Apply a lip balm and blot it with a tissue before using your lipstick. Start application from the middle of the lower lips and run all the way through to meet it the other way. Gently dab the centre of the lips with your finger and reapply lipstick with gloss for some razzle-dazzle. One rule of thumb is either you highlight the eyes or the lips. So opt with care the colours you choose for each of them. If you’re going dramatic on the eyes then go easy on the lips with baby colours and if you’re looking to go bold on the lips, stay simple on the eyes with a basic shadow and simple eyeliner. No doubt some of you may be adventurous to try the two together, but do so only after a few trials and errors. Now you’re ready to party hard and have a great time. But before you head out the door, look back just one more time into the mirror and throw a kiss at that gorgeous girl looking at you.